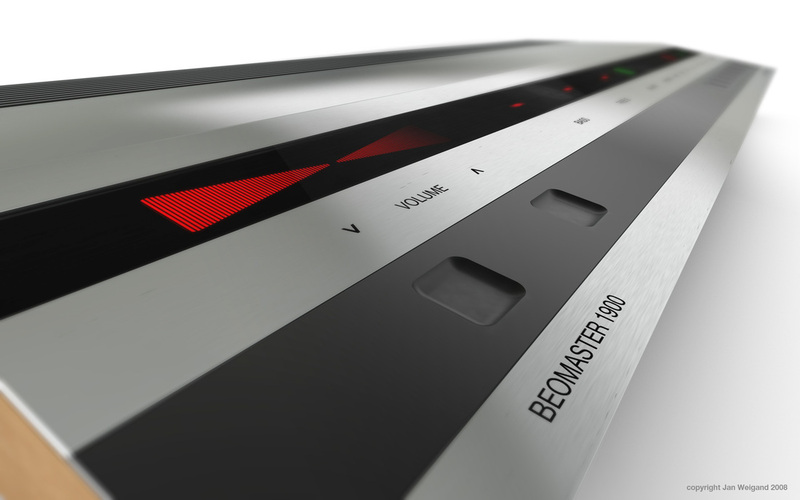 The Beomaster 1900: This receiver was a breakthrough in industrial design. It was designed by Jacob Jensen and sold between 1976 and 1980. It is in the collection of the MOMA in NYC. The awesome 'photos' shown above are actually 3D renderings, by Jan Weigand that I found here.